P15 Bonsai Plant. 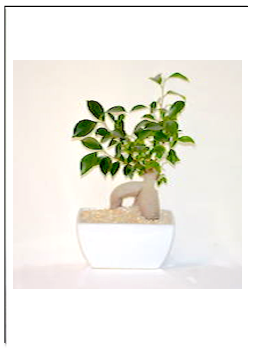 Bonsai Plant are excellent as gift for office, homes, get well, sympathy gift. They are slow growing and low maintenance. The top of all Bonsai Plant are mossed and enhanced with pebbles. Small – Bonsai Gift Wrapped in their own original plastic pot. Bonsai Plant. Bonsai Plant are excellent as gift for office, homes, get well, sympathy gift. They are slow growing and low maintenance.